May 1, 2012, 2:32 p.m.
By Justin Ellis @JustinNXT May 1, 2012, 2:32 p.m. In 2009, the Star Tribune found itself on a dubious list: The 10 Most Endangered Newspapers in America. That was the year Minnesota’s largest daily entered into bankruptcy after rounds of cost-cutting couldn’t help the company ease its debt load. It wasn’t particularly unusual to see a newspaper company enter into Chapter 11 in those dark days. But as someone who grew up reading the Star Tribune — I still have the front page from when the Twins won the World Series in ’87 — the thought of my home paper going under was frightening. It also directed changes to the Sunday paper. If there’s a conventional wisdom in newspapers about Sundays, it goes like this: Sundays are for the takeout pieces, the long features, the narratives, and other elements that don’t fit in the shrunken daily news hole. But that wasn’t what Star Tribune readers had in mind for their paper: “We heard over and over, ‘Features are nice, but we want the hard news,'” Barnes said. Image of the Star Tribune building from Matt Green and Star Tribune newspaper box from smcgee used under a Creative Commons license. POSTED May 1, 2012, 2:32 p.m.
Ellis, Justin. "A Twin Cities turnaround? The Star Tribune carves a path back through growing audience." Nieman Journalism Lab. Nieman Foundation for Journalism at Harvard, 1 May. 2012. Web. 23 Apr. 2019. Ellis, Justin. "A Twin Cities turnaround? 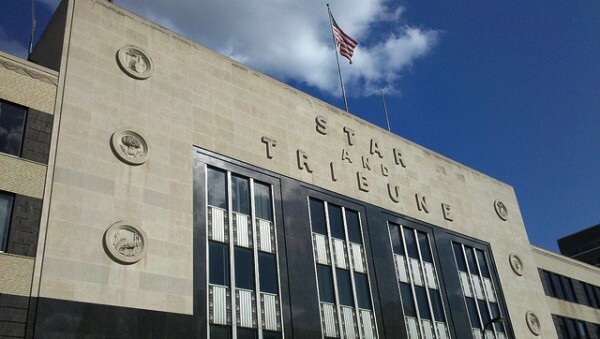 The Star Tribune carves a path back through growing audience." Nieman Journalism Lab. Last modified May 1, 2012. 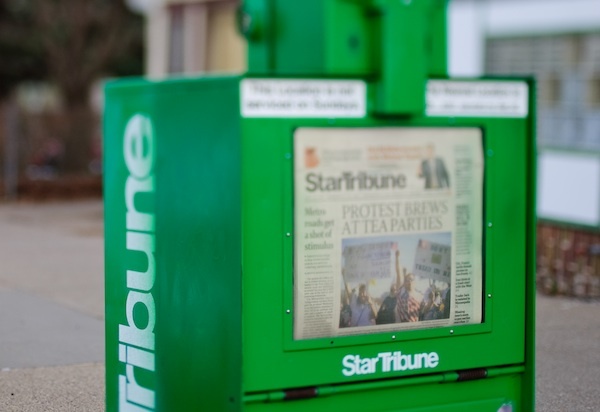 Accessed April 23, 2019. https://www.niemanlab.org/2012/05/a-twin-cities-turnaround-the-star-tribune-carves-a-path-back-through-growing-audience/.